To start out with, I would like to discuss the platform that this article is based around which is FactoryTalk View SE and how to take an HMI server from a backup to a fully running system within a 15 minute period. Some people may say that this process would take longer than that and in some cases, they may be correct such as setting up a redundant HMI system. In this example, it will be shown only restoring one HMI server to a fully running application then attached to the control logix ACD file, in which will be emulated, to a fully running system within a short time frame. This will not be the only element of this article as it will be showing HMI parameter passing and the ability to import and export global objects to make programming a more streamlined process. Restoring an HMI Server is not as hard as someone might think, breaking down the quick basic step process. First making sure you have an HMI Server backup and then copying that file structure into the correct file path on your local PC then opening up FactoryTalk Administration console and restoring the HMI application. Rockwell has a general file layout for RSLinx Enterprise which is where you want to place your HMI Server. This video should walk you through all of these steps to provide a match better understanding. In the video you should have seen where it is easily done to move an HMI server application to any PC then make it active to be on the new PC, in this case, you can either make the new PC the main application or just a backup if needed for a more reliable system. If this is the first time you have seen this process or even tried to move an HMI server then it is best then practice the process in the future to gain a common knowledge of this process….believe me…it gets much easier every time you move to restore an HMI server. When it comes to global objects in a FactoryTalk View SE system, it can be a slightly confusing task if you have never done this before. I remember when I first learned the process and it was quite the effort to learn but once I did then it became almost second nature. I have made a 36-minute video to deeply explain the knowledge that I could share related to global objects and their uses. I understand that 36 minutes is somewhat of a long video but the value that you get out of this will greatly aid you in using global objects in a FactoryTalk View SE system. Well, I know the video was a little long and I trust that you watched all of it. If you did then you should have a much greater understanding of using global objects and how to find tags of existing global objects in a system that is currently running. This can help speed up the troubleshooting process to allow you to find the information that you may be trying to find. 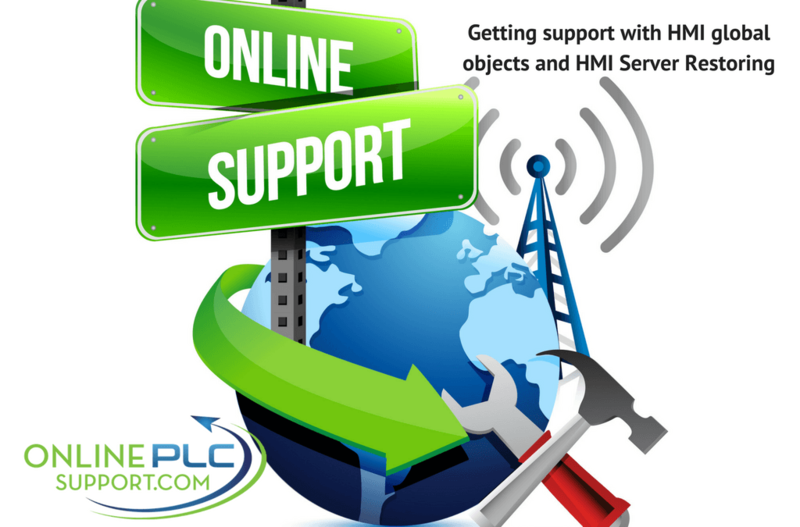 Being able to take an existing HMI global object and move it to another area and easily get it running is a very helpful tool to make programming much quicker. Being able to easily tie the HMI global object to the processor’s ACD file with new logic is what makes using global objects a go-to for anyone trying to quickly program. I made a quick 15-minute video to help show just how easy it can be to take an existing global object and logic to make it a new element in the system. I would like to take a minute to thank you for your time reading and watching the article that I put together for you. If you would like to see more on HMI Systems then please check the HMI section on the top header or the PLC examples then do the same. Please feel free to leave me a comment to let me know your thoughts and also if you have a question then please visit my contact page to submit a question. AB makes you pay for everything, and Factory talk is an absolute nightmare when it isn’t working. If you do not plan every single detail out you’re digging your own grave. I am happy to see someone like you writing a helpful and informational post about some of these issues and possible preventative maintenance of a system, thank you for sharing. Thank you for the kind words and you are exactly right when you say that FactoryTalk can be a nightmare. I have been dealing with FactoryTalk since version 3.2 and it was the roughest time of HMI programming as they had a lot of bugs back then but that is what gave me the experience to help others in this field so I am help to help out. This is very high tech actually and has a lot of detail put into. I had no clue about this to restore an HMI server and It looks kind of challenging. This is my first time even noticing on how to restore an HMI server and how it is done. Overall it is well detailed I think. This is quite the technical issue when it comes to restoring an HMI server on the different computer than it was hosted on. However, this is why I came up with this training to help those who are willing to learn and grow with the technology.